The rock formation in the area I visited were like nothing I have seen in other mountainous areas. 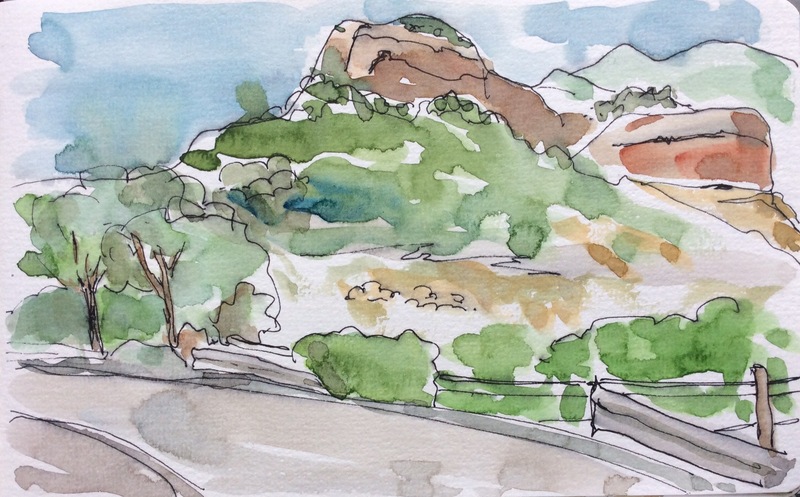 This was a very quick sketch, standing while listening for passing cars of the bulbous outcrops above a secluded swimming hole in a mountain stream. No more details… I want to keep this spot a secret. Lesson learned: take a few moments to do even a quick impression — the sketch will capture the essence of the moment (what was seen and what was felt). A photo can’t always do this.